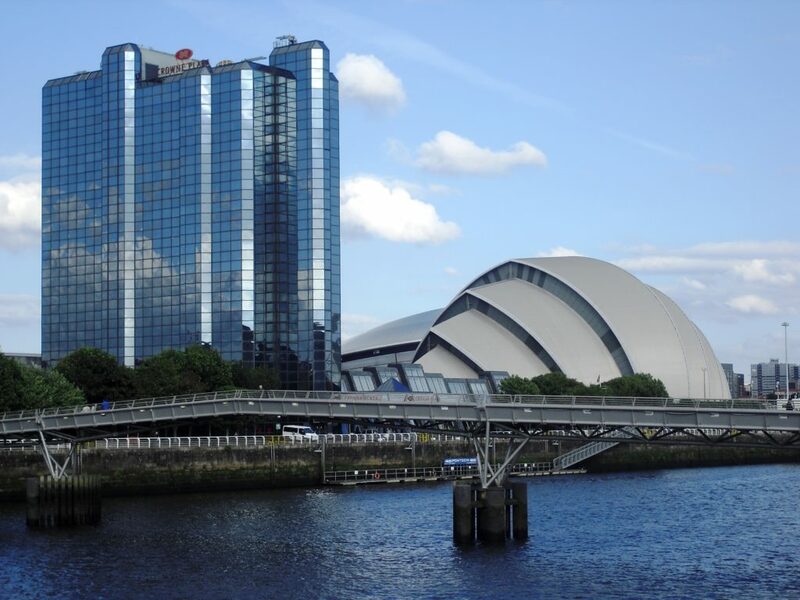 The Faculty of Engineering at Strathclyde is delighted to offer the Dr Alex Ekwueme Scholarship for a Nigerian student commencing their postgraduate taught programme in engineering from September 2019. Dr Ekwueme has a close affiliation with Strathclyde, having obtained his PhD in Architecture from Strathclyde. In 1979, he was elected the first Vice-President of Nigeria. The African Innovation Foundation (AIF) (http://www.AfricanInnovation.org) driver of The Innovation Prize for Africa (IPA) is pleased to announce today the launch of the sixth edition of the IPA awards by calling for applications to the prestigious competition. The competition once again offers Africa’s top crop of innovators a share in a grand prize of US$150 000 and additional scalable entrepreneurial opportunities. Enterprises and individuals that have invested in delivering market-oriented solutions for African-led development are especially invited to take part in the competition. Last year’s winners (http://APO.af/w7LNRg) were selected from nearly 1 000 entries across 46 countries, reflecting the truly Pan-African flavour of the competition. Previous IPA editions were held in Botswana (2016), Morocco (2015), Nigeria (2014), South Africa (2013) and Ethiopia (2012). IPA was endorsed at its inaugural edition in Addis Ababa in 2012 where African ministers at the joint Africa Union (AU) and United Nations Economic Commission for Africa (UNECA) passed a resolution to support AIF to promote innovation-based societies across the continent. For more details, please check out our brand new IPA website www.InnovationPrizeforAfrica.org and apply for IPA 2017 now through clicking onhttps://IPA.AfricanInnovation.org Watch https://youtu.be/9SR8xVj1guw for all the information you need on IPA 2017. The Africa Initiative for Governance (“AIG”) (www.AIGAfrica.org) has today issued a call for applications for its 2017 scholarships for a Masters Degree in Public Policy at the renowned Blavatnik School of Government, the UK’s first school of Government, at the University of Oxford. The call was issued by the AIG Chairman and Founder, Mr. Aigboje Aig-Imoukhuede, and Founding Directors, Mrs. Ofovwe Aig-Imoukhuede, Mr. Herbert Wigwe and Dr. Jeya Wilson, ahead of the inaugural meeting of the Initiative’s Panel of Advisors in Lagos, Nigeria. From 2017, the AIG will fund five scholarships each year as part of a new five-year partnership which is based on the shared purpose of building good governance and public leadership. The AIG is a Foundation established in recognition of the fact that Africa’s poor record of public sector governance is a critical factor preventing the continent from achieving its true potential. The initiative brings together proven private sector innovation, leadership and funding into a private-public partnership to attract, inspire and support future leaders of Africa’s public sector. The AIG believes that the high-calibre individuals trained at the Blavatnik School will drive best practice standards of governance across Africa, ensuring sustainable economic growth and social justice. The AIG Scholarships will have an initial focus on candidates from Nigeria and Ghana, allowing the students to study for a Master of Public Policy (MPP) alongside classmates from across the globe. The scholarships will be available to those who can demonstrate academic excellence, proven leadership and commitment to public service and who intend to return to the public sector in Africa after completing their studies. Along with the scholarship scheme will be an academic fellowship scheme. The AIG Visiting Fellowship will also be available from 2017, open to candidates who can demonstrate an outstanding contribution to public policy that has yielded meaningful impact on the public good, and commitment to public service in their country, region and globally. The Fellowship is open to senior officials or practitioners working in or with government and who are resident in West Africa. Biographies of panel members are available upon request. Online applications will open on the AIG website (www.AIGAfrica.org) on Monday, 10 October, 2016. As part of a 5-year partnership with the Africa Initiative for Governance, from 2017, five fully-funded scholarships (covering tuition fee and living expenses) will be awarded to students who meet the Master of Public Policy selection criteria (academic excellence, strong commitment to public service, demonstrable leadership). Applicants must be resident in Ghana and Nigeria. For academic years 2020-21 and 2021-22, or if there are insufficient applications from Nigeria and Ghana in academic years 2017-18 to 2019-20 other West African nations will be considered. These include: Benin, Burkina Faso, Cape Verde, Gambia, Guinea, Guinea-Bissau, Ivory Coast, Liberia, Mali, Mauritania, Niger, Senegal, Sierra Leone, Togo. Other countries with the agreement of the Benefactor. Founded at the University of Oxford in 2010, the Blavatnik School of Government (www.BSG.ox.ac.uk) exists to inspire and support better government and public policy around the world. We teach current and future public leaders through innovative programmes, conduct deep research into pressing issues facing policy makers around the world, and convene leaders and experts to foster better public policy. With a strong global outlook, we combine insights from a range of academic disciplines and derive lessons from the public, private and third sectors. The school was made possible through a £75 million donation to the the University of Oxford by American philanthropist Leonard Blavatnik. For more information, visit www.BSG.ox.ac.uk. Africa’s poor record of public sector governance is a factor that currently prevents the Continent from achieving its true potential. AIG’s (www.AIGAfrica.org) pioneering initiative brings proven private sector innovation, leadership and funding in a private-public partnership to attract, inspire and support future leaders of Africa’s public sector. With AIG’s continuing support, high-calibre individuals will be able to drive best practice standards of governance in Africa, ensuring sustainable economic growth and social justice. For more information, visit www.AIGAfrica.org. 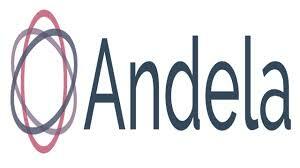 The Open Andela Bootcamp is an accessible version of the original Andela Homestudy Program. During this program, You will be taught the basics about coding from our home study curriculum. This opportunity will give you and all candidates a higher chance of having a successful career in technology. It is a 11-week program to introduce You to the practical concepts of Software Development with an eye to help develop your career in the ICT space. This program is made possible by a partnership between Andela and the Lagos State Government through the Ministry of Wealth Creation & Employment and Ministry of Science & Technology for sustainable collaboration in technology skill acquisition and employability. For developing country applicants: To apply for the JJ/WBGSP scholarship you must be a developing country national, not be a dual citizen of any developed country, hold a Bachelor’s degree (or equivalent university degree) earned before 2013, be under 45 years old on the Application Deadline date, and have at least 3 years of recent development-related experience since earning a Bachelor’s degree. Most importantly, you must commit to returning home to your country on graduation in order to use your enhanced knowledge and skills towards your community’s, country’s, or region’s development. 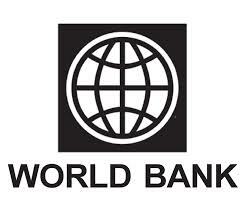 Those receiving a scholarship are barred from working at the World Bank Group for three years following graduation from the preferred master’s program. The Tony Elumelu Foundation announces TEEP 2016, the second annual round of the Naira 17bn (US$100m equivalent) Tony Elumelu Entrepreneurship Programme (TEEP) for emerging African entrepreneurs. This program is funded by Mobil Producing Nigeria, operator of the Nigerian National Petroleum Corporation (NNPC)/MPN Joint Venture. Since 1998, a total of 500 undergraduate scholarships are awarded annually. This is a significant increase on the 13 awards offered at inception of the scheme in 1974. The awards are made to suitably qualified students from every state of the federation, including the Federal Capital Territory (FCT). However, about 62 per cent of the total NNPC/MPN Undergraduate scholarship awards are allocated to students who are indigenes of the operational communities/ States – Akwa Ibom (50%) and Rivers States (12%). There is also a merit award (10%) to the best 50 candidates in the selection tests. The remaining places go to students from other states including the Federal Capital territory (FCT), based on merit and fair geographical spread. The current scholarship awards are for disciplines in Engineering (Petroleum, Chemical Mechanical, Electrical/Electronics and Civil,) Geology/Geophysics, Medicine, Agricultural Science (and related fields) as well as Computer Science. Other schemes sponsored by this partnership include the NNPC/ESSO National and International Postgraduate Scholarship Awards. These scholarship programs are amongst several initiatives by the ExxonMobil upstream subsidiary companies EEPNL and MPN), along with the respective partners and co-venturer, to help build capacities of young and brilliant Nigerians and further boost pool of qualified manpower for career opportunities in Nigeria and abroad. Applications for the 2016-17 round of Australia Awards Scholarships and Short Course Awards opened on 1 September. Priority areas for applications are in the agriculture, extractives and public policy sectors.